Maruti Suzuki, country's largest carmaker on Friday reported Profit After Tax (PAT) at Rs 1975.3 crore for the June quarter of financial year 2018, missing Zee Business estimates of Rs 2318 crore. Maruti Suzuki, country's largest carmaker on Friday reported Profit After Tax (PAT) at Rs 1975.3 crore for the June quarter of financial year 2018, missing Zee Business estimates of Rs 2318 crore. 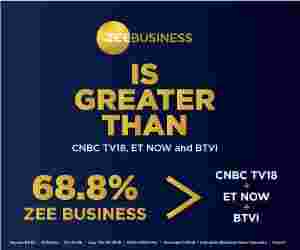 Revenues came in at Rs 22,459.5 crore vs Zee Business estimates of Rs 22,462 crore. The auto major had reported PAT at Rs 1,882.1 crore for the fourth quarter ended March 2018. Net sales in Q1 stood at Rs 20,594.3 crore. On quarter-on-quarter basis, Maruti Suzuki registered a growth of 5 per cent in net profit, and 5.9 per cent in net sales. On year-to-date basis, the auto firm reported 26.9 per cent jump in net profit, and net sales grew 27.3 per cent y-o-y. Reacting to its tepid earnings, Maruti Suzuki share price tanked 3.7 per cent to Rs 9394.15 on the BSE. Kalank Box Office Collection: Varun Dhawan, Alia Bhatt starrer beats Dilwale, Judwaa 2 opening record, but can he hit Rs 100 cr mark?